You probably never thought that a tiny squirming creature might be living inside your fur baby, but there is a good chance your dog or kitty could be hosting one of these nasty little parasites right now. Don’t worry, though — diagnosis and treatment are actually pretty simple. Tapeworms are an intestinal parasite found in the dog and cat population, and rarely in humans. Although tapeworms are not typically a life-threatening infection, the parasite can make life uncomfortable for both pet and owner. By recognizing the signs of infection and knowing how to properly treat and ultimately prevent the organism from spreading, your doggy or kitty can rejoice at being 100 percent worm-free. Fleas are not just an agent of itch; they are a vector for many diseases, including tapeworms in dogs and cats. According to Dr. Brett Cordes, also known as Brett the Vet from the Arizona Animal Hospital, warm temperatures and high humidity contribute significantly to the growth of the flea population, which is why summer months show an increase in tapeworm cases — unless one resides in a dry environment, like the North American Southwest. As described by the Centers for Disease Control and Prevention, tapeworm eggs are ingested by flea larva, then hatch internally as the flea matures to adulthood. 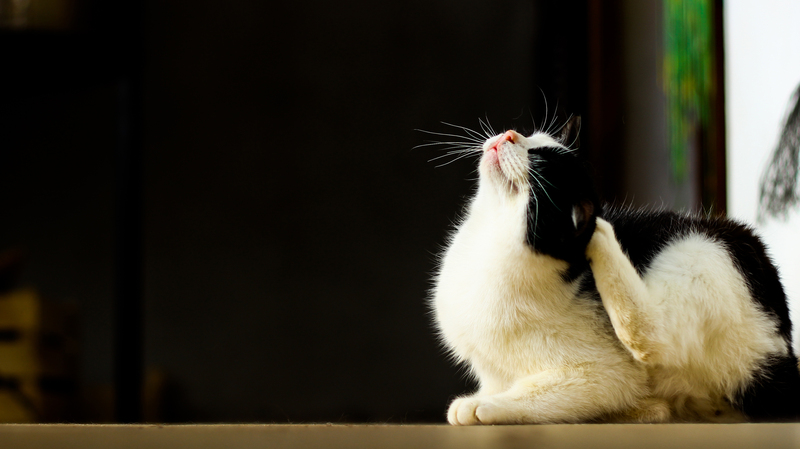 During a pet’s grooming, the infected flea may be consumed. As the tapeworm grows in your pet’s belly, it produces rice-sized segments containing eggs that break off and gloriously leave the body during defecation, which is why checking your pet’s poop is kinda important. Although rare, humans — generally, small children — can contract tapeworms by also inadvertently swallowing an infected flea, because, you know, toddlers will put anything in their mouths. The most common way to diagnose a tapeworm infection is a direct inspection of the pet’s behind and stool. The segments released by the parent tapeworm do in fact move and may be found squiggling out of your pet’s rear. I know — pretty gross, but it’s an easy and non-invasive diagnosis. More likely, though, those rice-sized egg packets will be discovered on the animal’s hind beneath the tail, and on the pet’s poop. In those extreme cases, symptoms include diarrhea and vomiting. Generally, though, tapeworms are an incidental find and not diagnosed by symptoms. The treatment for your pet is either an injection or a special pill to clear the parasite from the body. This can be easily accomplished by visiting your pet’s veterinarian or a local veterinary clinic. Prevention is, however, the greatest form of protection. Aside from a preemptive treatment for your dog or cat, also consider pest control measures around your home and adjacent premises, especially if you live in a region known to harbor fleas and ticks — places with a warm and humid climate. “You can treat your house, premise and your pet, but to find the product right for your area, talk to your vet or a pest control expert to treat both the inside and outside your house with the proper and safest products,” says Brett the Vet.